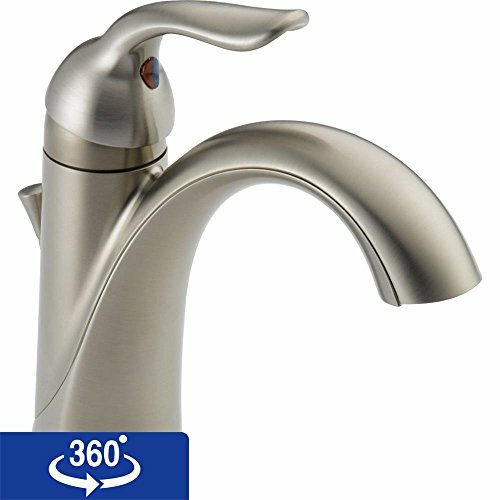 Curving, organic lines give the Delta Lahara 15938T Single Handle Bathroom Sink Faucet with Touch2o Technology an eye-catching transitional style that just can't be matched. 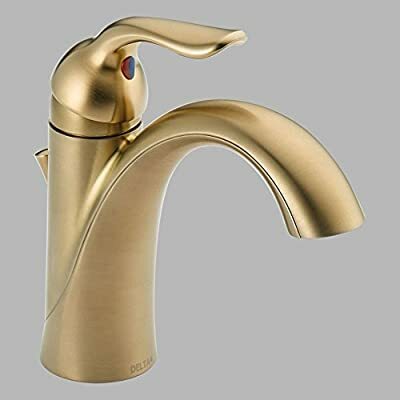 This elegant faucet is made to endure from solid brass and operates smoothly with just a touch or with a twist of its single handle. 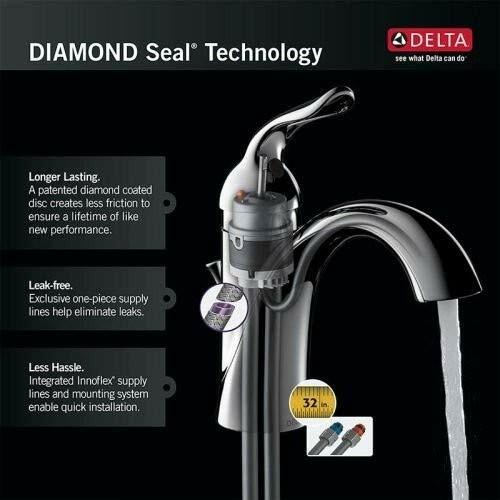 Pairing inspirational design with innovations that anticipate people's needs, Delta produces kitchen faucets, bathroom faucets, and shower systems that are as beautiful as they are functional. Delta puts all of their products through a strict regimen of durability testing. 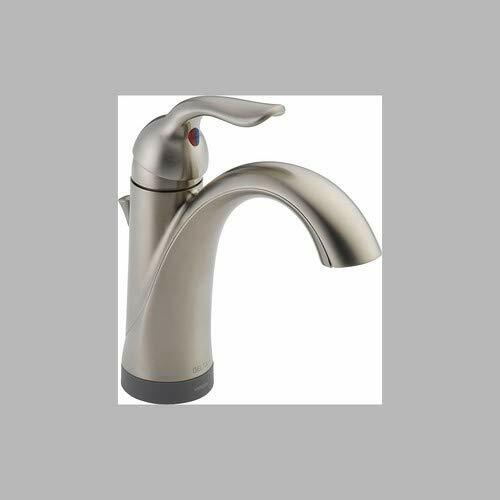 Delta Faucet is committed to green manufacturing processes and helping people to be smarter and more environmentally responsible in how they use water. All of these things add up to show how Delta is more than just a faucet. Single handle lever for ease of use. 8-in. high-arc spout. 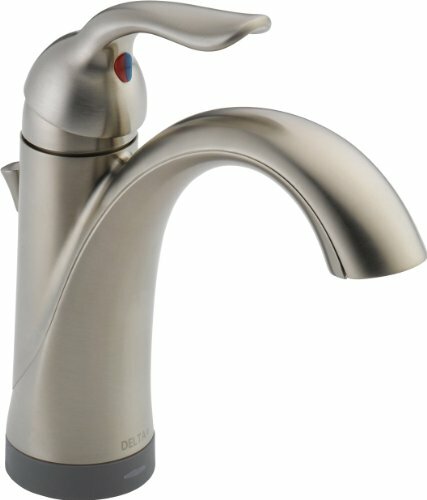 Turns on and off with a touch on the spout or handle. Features ceramic disc valves for durability. WaterSense certified to help reduce water use. Overall dimensions: 19.75L x 13W x 3.25H in..